Here’s a sneak peek at the back cover blurb. Beware, spooky times are upon us. Soon, handkerchiefs may come to life and ghosts may appear to hinder or help. You may hear the eerie quiet of an orange grove and the rustling and moaning of a cornfield. Watch for stingy tricksters on the prowl and double-crossing siblings and friends who scatter at the first sign of trouble. Meet monsters that lurk on bedroom doors, hide inside closets, perch on porches, and linger in the mountains. If you’re brave enough, face your worst nightmare in a dark forest. Then, tell yourself it’s only Halloween. 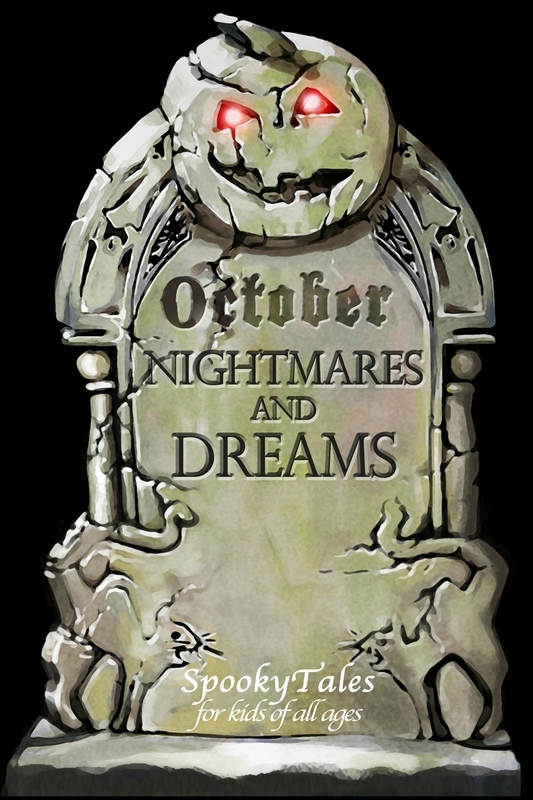 October Nightmares and Dreams presents a collection of stories and poems for kids and young adults. Within these pages, you take a spooky journey through the stories and poems by authors of the Midwest Children’s Authors Guild.